Real Madrid flopped in the final test at the Santiago Bernabéu, as they won 2-1 against Bayern Munich over regular time (3-3 on aggregate), but got defeated in the penalties shootout (1-3). Cristiano Ronaldo scored twice during the first half, but couldn't beat Manuel Neuer for a 3rd time, when he took his team's first penalty, at the decisive shootout stage. Real Madrid failed to get past Bayern Munich on the UEFA Champions League semi-finals, despite winning 2-1 during the regular time, but losing 1-3 in the penalty shootout. After last week's loss in Munich by 1-2, the Merengues knew that a 1-0 result would suffice this Wednesday night, but if Bayern scored, everything would become more problematic. Unfortunately, the German side ended up scoring that precious goal, allowing them to reach the penalty shootout and finally putting an end to all the Madridistas dreams and hopes of winning the 10th UEFA Champions League in the club's history. After winning the Camp Nou Clasico against Barcelona last Saturday, the Madridismo had big hopes for this Wednesday's night clash, against Bayern Munich. 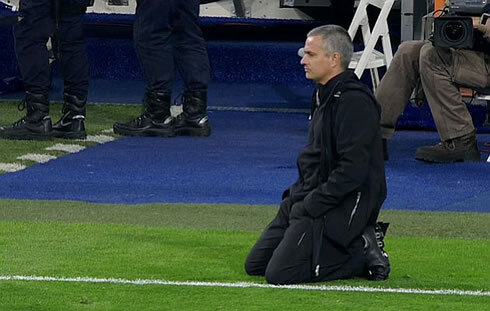 Even though José Mourinho's men had lost 1-2 in Munich last week, turning around a 1-goal disadvantage result didn't seem like an impossible task for a team, who before this game, had already scored 142 goals in both La Liga and the UEFA Champions League this season. However, Bayern once again proved to be a tough challenge and showed a physical presence over these two legs that Real Madrid simply couldn't deal with. Despite the victory and an early 2-0 lead achieved thanks to 2 goals from Cristiano Ronaldo, the Merengues never seemed to have things under control and Bayern Munich created chance after chance throughout most of the game. The defense struggled a lot to close gaps and Bayern's midfielders kept running around between lines, with too much space. It has to be said that the German side failed several blatant goal scoring chances, which would have allowed them to probably kill the game before the end of the regular time. Real Madrid players were too soft when pressuring their opponents and Bayern Munich appeared to be a in a better physical condition throughout the entire match. Could it be that the Merengues ended up paying the price of an exhausting performance in the Camp Nou last Saturday, while Bayern being already without any hopes of winning Bundesliga, earned the benefits of resting their key players over the weekend? Cristiano Ronaldo had asked for a very active crowd at the Bernabéu, in order to intimidate Bayern and to carry Real Madrid towards the first goal. The appeal was listened and well responded, as the atmosphere at kickoff was simply superb. Unsurprisingly, Real Madrid charged forward in the first minutes of the game and ended up earning a penalty-kick opportunity, after a Di Maria shot got blocked by Alaba's hand, when the defender slided in front of the Argentinian. Ronaldo was called up to take the penalty-kick and didn't give any chance to the German goalkeeper, Manuel Neuer. 1-0 to Real, and this result would already be enough to take the Merengues to the UCL final. Real Madrid took advantage of the momentum, by not slowing down a bit and it didn't take them more than 10 minutes to extend the lead to 2-0. Repeating a combination made in last Saturday's Clasico against Barça, Mesut Ozil found Cristiano Ronaldo free from any marking and granted him a goalscoring opportunity from a very dangerous spot. The Portuguese forward controlled the pass easily and with class, just stroke the ball away from Manuel Neuer's reach. Two goals advantage for Real Madrid and a perfect start in the Bernabéu. Few expected what came after after though... Real Madrid slowed down the pace and never again found a way to regain that initial rhythm. Bayern Munich gradually started taking over of most of the ball possession and managed to create several goal scoring chances throughout the rest of the game. On the 27th minute, Pepe pulled Mario Gomez when the German striker was already escaping and preparing to meet a cross, leaving no other choice to the referee but to point to the penalty spot. Arjen Robben assumed the responsability and reduced the lead to 2-1, tying the round in aggregate at 3-3. During the rest of the game Real Madrid left the impression that they were a lot more tired than Bayern Munich and the Germans controlled the tempo of the game at their will, by dominating the Merengues in the midfield. No more goals were to be scored in the remaining minutes of the game, neither on the 30 minutes of extra-time, but Bayern Munich has always been the side that seemed to be the closest to score during most of the game. 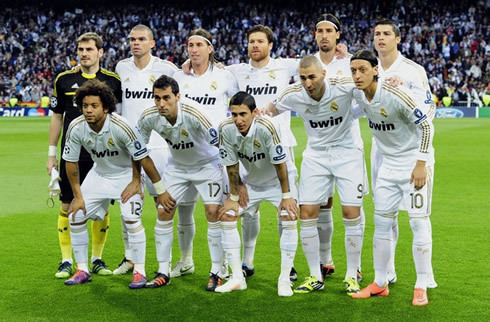 Real Madrid next game will be for La Liga, against Sevilla, this next Sunday (29-04-2012). You can watch Juventus live stream, Real Madrid vs Sevilla, Rayo Vallecano vs Barcelona, Stoke vs Arsenal and Norwich vs Liverpool, all from our soccer live streams section. Cristiano Ronaldo will probably be a starter in the Bernabéu, when Real Madrid hosts Sevilla.